The Spotify app for iPhone and iPad has been updated to add a number of changes to the visual interface which considerably improves. The Spotify app now has a sidebar which can be accessed by a gesture of sliding from left to right, similar to the Facebook app, Gmail or Youtube. From this new sidebar, you can access to search for songs, see new releases, listen to the radio, view playlists, our inbox, friends list and settings. Another feature that was added in version 0.6.0 of the bar Spotify is "what's playing". Located at the bottom, with it always will be aware of the song you're listening and if you want to change it, just press on it. Problems "Song available online only." Sometimes this message appeared after booting, or to be offline for a moment. That's it. The lock screen now always shows the correct song. Random mode is now disconnected after use random play with an album or playlist. 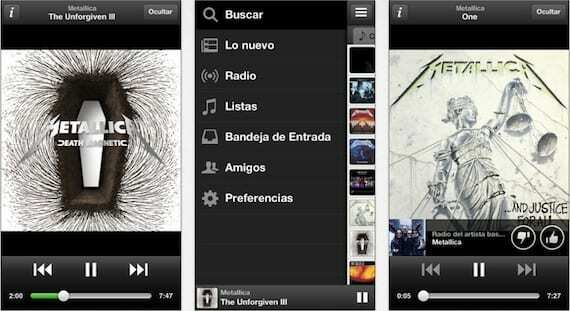 Article The Spotify application refreshes and renews its interface was originally published in News iPhone .